Hurry! Offer Expires at 11:59 PM Central Time, September 30, 2017! Want to Attend Dreamforce 2017, and Help Homeless Children at the Same Time? If you answered yes to both questions, please place your bids here. To see the current high bid, follow me on Twitter and search for #DF17PNN_HIGHBID. The bidding will close at 11:59 PM on Friday, September 30, 2017. This is the twenty-third post in my blog series in which I will feature people I know from the community: Salesforce employees, MVPs, User Group Leaders, Partners, and honestly, anyone who I’m connected with who is willing to share with me the answers to five simple questions. I hoping that this blog series will help everyone out in the community get better connected to others who are either like them, can help them, are nothing like them, can’t help them, or are simply people they haven’t met yet! After all, a stranger is simply a friend you don’t know yet. 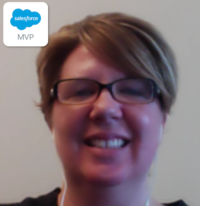 And now I introduce Salesforce MVP and co-leader of the Chicago Suburban User Group, Jen Nelson. You can find Jen on Twitter. 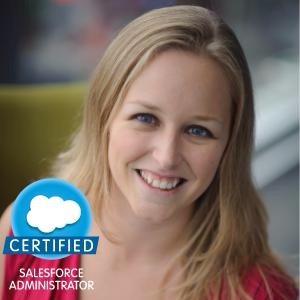 This is the eighth post in my blog series in which I will feature people I know from the community: Salesforce employees, MVPs, User Group Leaders, Partners, and honestly, anyone who I’m connected with who is willing to share with me the answers to five simple questions. I hoping that this blog series will help everyone out in the community get better connected to others who are either like them, can help them, are nothing like them, can’t help them, or are simply people they haven’t met yet! After all, a stranger is simply a friend you don’t know yet. And now I introduce Jocelyn Fennewald, co-leader of the Chicago Women In Technology Group. What’s your job title? Managing Partner, OpMentors. What does that mean you do? My job is a mult-hat one. I am co-owner of my company, OpMentors. We are a Salesforce SI partner, as well as partnering with FinancialForce and Apttus on thier X-Author for Excel tool. Most of my day is working as a consultant and system admin. Working with clients to push their platforms to the next level is a absolute thrill for me. On any given day I can be working with the client’s system admin to solve an issue, conduct end user training or working through their implementation or optimization of Salesforce or FinancialForce. Being able to wear so many hats keeps it fun and interesting. Since I love problem solving so much, this type of work will always keep pushing my knowledge of the platform. You can find Jocelyn on Twitter.